Today, in honour of the US release of A Place Beyond Courage, we are pleased to welcome back Elizabeth Chadwick to Historical Tapestry to talk about how she chose to write about John Marshal. A few years ago I wrote two novels that changed my life, not just by boosting me up the career ladder, but also by introducing me to the Marshal family. The Greatest Knight and The Scarlet Lion were about one of England's greatest mediaeval heroes, a knight called William Marshal who rose from the ranks of the minor nobility and through a few useful family connections but mostly via his own prowess, charm and intelligence, became immensely wealthy and eventually the Regent and some say saviour of England after King John's death. He has mostly been forgotten by the country at large, but he has a strong global niche following, and when I wrote the novels about his life, they took off in a big way. While writing The Greatest Knight and The Scarlet Lion I become interested in the father of William Marshal, John FitzGilbert. Some of you will know that William Marshal almost died in childhood. He was taken hostage by the King for his father's word of honour, and when his father broke that word, William faced being hanged. Obviously he wasn't, but the detail led me to wonder what kind of man would forfeit his son? When faced with seeing his six year old son killed, why would he say he did not care and that he had the anvils and hammers to beget better children than this one? On the surface, it didn't look promising. Even so I was curious; I wanted to know more. Readers who follow my writing life, know that I use the psychic as one of several tools to find out about the past. For those who think it's all rubbish, I say just take it as another useful strand of imagination. When looking at a new project, I usually ask psychic consultant Alison King for taster sessions on different characters to see if they are the sort of person I want to write a novel about. We had taken a look Richard de Clare before I eventually decided not to choose him because of his early death. However, Alison accessed a vibrant red haired man with a powerful personality and a real delight in his baby daughter Isabelle. When I asked her then to go to John Marshal, this was her initial reading. I’m there and looking at something oval shaped with watery light on it. It might be an ornamental pool. It’s night time and the moon’s shining on it. I can see pincers and something like a modern rolling pin with handles and a roller in the middle. Now I am seeing something like a diagonal cross of a metal colour but a fabric texture on a metal background. Something to do with horses – it’s a piece of horse equipment. (The pincers were a symbol of the royal marshal, as was the horse equipment. We suspect the rolling pin thing is something to do with a pipe roll). I can feel the character of John Marshal but I can’t see him. What I can feel is calculation. He’s not emotional. He’s strong, constant, he doesn’t veer off things once he’s fastened on them. He’s still youthful and not yet tempered by experience. He thinks well of himself and that he’s entitled to more than he has. He sees himself as ready for promotion. I can see him now. He’s tall, well made, good looking, and straight like his attitude. Taut muscles, strong cheeks – of the kind that have lines down them. Strong mouth, straight across. His eyes are very interesting. They’re blue and tell a different story about his emotions. His eyes are powerful. They have an intense look, but it’s not an intensity of emotion although it might look like that externally. In reality it’s because he’s trying to work things out, to understand and calculate. People misunderstand it and take it for emotional intensity. It’s like when you get a pop star posing about these days and impressionable people think ‘Wow!’ but it’s a projection of their feelings onto the popstar and his look isn’t caused by what he’s really thinking at the photoshoot. John Marshal is quite a dashing sort of man. I’ve got a feeling he wears his hair differently to the norm. It’s very short at the back, but there’s more of it on top, almost like a quiff. It’s light brown with lighter streaks in it. Hmmmm…very dashing, He works with his intellect more than his emotions and he is ambitious. Oh, must mention he has absolutely lovely skin – immaculate pores. So small you can’t see them. Immediately I could visualise him through Alison's words, but even so he was still only one on the shortlist. The final choice came as I was heading out to do the weekly grocery shop with my husband and we stopped, appropriately enough at some traffic lights at a crossroads. Suddenly and very strongly I knew that I had to write about John Marshal. All the indecision fell away and by the time we returned home with the shopping, I was eager to get started. Undertaking conventional research via primary and secondary historical sources, I began to come across a complex, intelligent man who not only knew how to fight his way out of a corner, but also how to play an astute game of politics. He was ice-cold under fire, and once he gave his word, he kept it, even if he had to face his own death, or sacrifice his son, who by his blood was an extension of himself. This may seem a contradiction when I mentioned earlier on that John Marshal broke his promise to the king, but it was one given under duress and to a man he did not serve, and the binding one was to John’s lady The Empress Matilda, and to her son, the future Henry II. 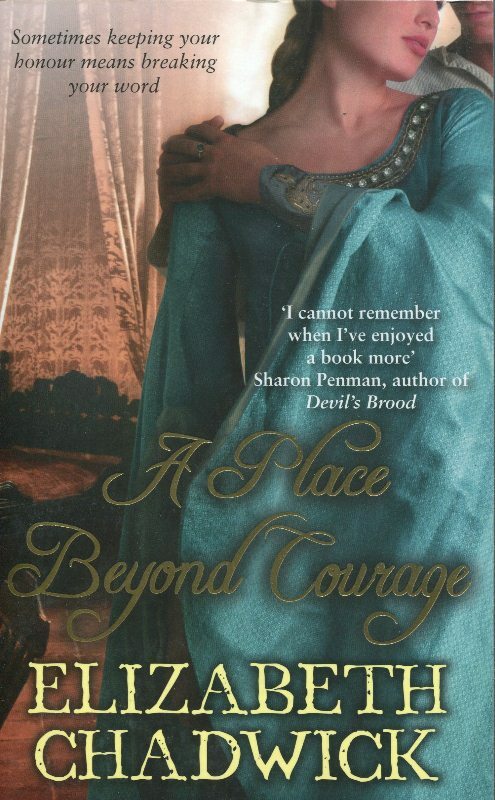 When A PLACE BEYOND COURAGE was published in the UK the first time around, it mostly featured a woman on the cover with John relegated to a corner of the picture. As a ‘nice dress’ cover it had a certain impact, but I never felt it did the subject matter justice. Now it has been reissued by Sphere in the UK with John in his rightful place, and is new out for the USA, published by Sourcebooks with a truly magnificent treatment. I’m an author. Of course I’m pleased for myself, but more than that, I am pleased for John FitzGilbert the Marshal. He deserves to emerge from the shadows and stand in his full light. My copy of A Place Beyond Courage is the original UK cover. It was a birthday gift in January of 2008, and I was so anxious to read it (having read and loved the two Wm. Marshal books) that I wouldn't have cared if the cover had been plain brown with black letters. But having said that, I was delighted with the copy I had, passed it on to my daughter, and to my granddaughter. Of the three covers pictured, my choice would be the new UK cover - a handsome John Marshal. Thanks for the giveaway. This sound great! Thanks for the chance to win a copy. I'm not usually interested in this time period but this man sounds fascinating! I'd love to read this. Of the covers I prefer the middle one, the new UK cover, the man is much more attractive! I'm reading The Greatest Knight now and would love to win a copy of A Place Beyond Courage. 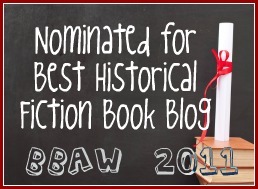 I like either of the covers with John Marshal on them--demonstrating that readers of historical fiction (female and male) are interested in fascinating historical characters and their stories even if they are men! I'd like to read A Place Beyond Courage. I like the middle cover the best. I like the original UK cover the best. I can't wait to read it. 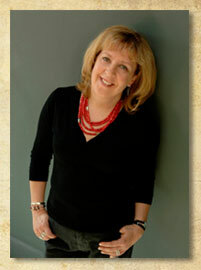 She is one of my favorite authors. Maybe more of her backlist will be published in the US again! I like the last cover best with the female model. I do like the details in the middle cover, though. I read the book with it's original cover and passed it on to coworkers with rave reviews. I really think the middle cover is the best. The lighting, facial angle, and scripted title is just perfect, sure to gain the interest of the casual browser. Besides, he SHOULD be on the cover! I have not yet had the pleasure of owning one of your books, but have absorbed all your websites have to offer and I am Hooked. From the beauty of your covers to the content within, I simply adore you and your spiritual connection with your characters. The Medieval World would be an empty place without you. The third cover has a little more softness to it but I do i like all three. I also love the authors name in the sort of caligraphy style. Not only are covers a reflection of the story but I think of the author as well. I'd go for the new UK cover. The faraway look on his face is intriguing as is the background glimpse of castles. Makes me think of power, action and a hint of romance. Half-headed women don't interest me. And the US cover looks too plain. I became interested in John Fitz Gilbert and William Marshall earlier this year when I read When Christ and His Saints Slept, by Sharon Kay Penman. As a result, I am really looking forward to reading this book and getting to know those two historic personages better!